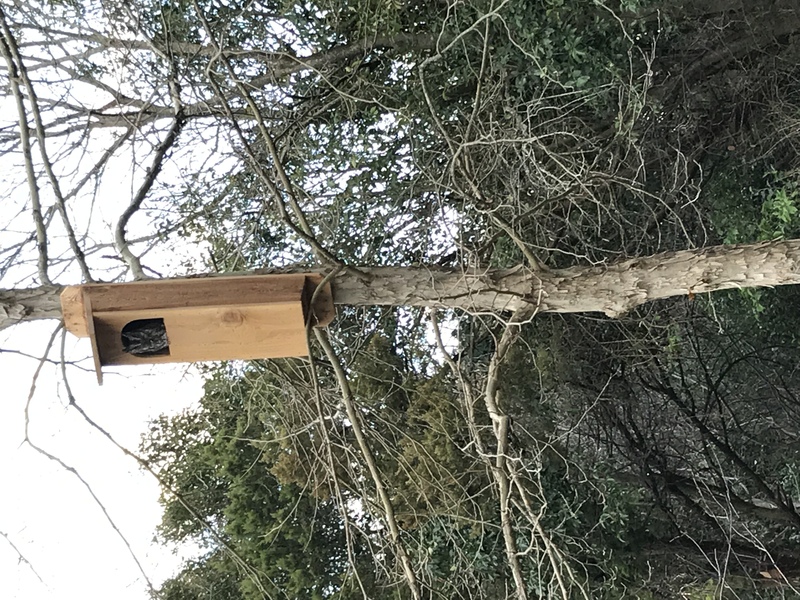 A Western Screech Owl, I believe; not a very big creature, but pleased enough to have taken up residence. The local carpenter who made the house (a 2017 Christmas gift for My Sweetie) noted that there needed to be water nearby. Fresh water. And what about mosquitoes? I asked. Eh, if you replace the water every other day, there won’t be any mosquitoes in it. Fair enough. Though I have trouble nurturing native plants, which are used to living wild and getting intermittent water. Very intermittent. I set out an large old plant-pot saucer and filled it with water from the tap. My water-refresh period seems to be operating at once per week. Good news, then! And I’ll still try for better.